In the European Union, cryptocurrency trading is still not nearly as popular as it is in Asia or even the United States. Asian, particularly Chinese and Japanese exchanges still top the lists on most websites that keep track of trading volumes and monthly active users worldwide. The Asian exchanges are not afraid to use some of their power to extend their global reach. bitFlyer, the Japanese crypto Leviathan, opened up a new office in Luxembourg in January 2018 as its European base of operations. However, bitFlyer and co. might be surprised to find some very tough competition in Europe. You’ve got Bitbay, one of the supreme options for Polish users, and Bitstamp, a very prominent exchange that veteran crypto enthusiasts should already be very familiar with. For those who don’t know, Bitstamp is a cryptocurrency marketplace based primarily in the European Union, although it allows users from all over the world to use its Bitstamp exchange to buy and sell digital assets. The company has been around since 2011 and, according to the company’s website, it has more than 3 million satisfied users. However, Bitstamp is 100% an exchange, and not a seller. This means that it provides a platform where users can sell assets on the one hand, whereas other users can buy those same assets on the other. The exchange does not sell assets at all. In the Bitstamp review before us, we will take an in-depth look at the Bitstamp exchange and the services it provides. We will have separate sections dedicated to the Bitstamp fees and the Bitstamp Bitcoin price, “Is Bitstamp safe?”, the official Bitstamp app, and all the other services and features Bitstamp provides. Our hope is that, after reading this Bitstamp review, you will have enough information to decide if the Bitstamp exchange is right for you or if you should take your business elsewhere. Let’s begin this Bitstamp review with a bit of background. Doing so will let us assess the company’s standing within the crypto community, its reputation and its accomplishments so far. The Bitstamp exchange is based in Luxembourg. This doesn’t mean that its services are limited to Europe, though. When it comes to fiat currencies, in addition to EUR, you can also make deposits in USD and take it from there. At the time when the exchange was first getting launched, it was supposed to be the number 1 European alternative to Tokyo’s Mt. Gox, which it has since outlived (obviously). The CEO of Bitstamp is Nejc Kodrič, who co-founded the cryptocurrency exchange business with Damijan Merlak. Both are well known and respected members of the crypto community. Although the company was first launched in Slovenia, it moved to the UK in 2013, primarily because the UK offered more options when it comes to providing the necessary financial and legal support during the company’s early years. Right now, the company has corporate offices in London (5 New Street Square), Luxembourg (10 rue Antoine Jans), and New York (99 Hudson Street, 5th Floor). Bitstamp reached out to the UK’s Financial Conduct Authority when it moved to the UK, looking for guidance regarding regulation and optimal business practices. In 2016, the company was granted a license by the government of Luxembourg as an official payment institution, which means that it is recognized by the EU as a compliant, regulated cryptocurrency exchange, allowed to do business in all countries which are members of the EU (28 total). Among Bitstamp’s other notable accomplishments, the exchange is always proud to point out that it was the very first Ripple Gateway, as well as the first partner to participate in Ripple’s incentive program, which has since reached previously unforeseen heights. Apart from that, Bitstamp is one of four exchanges (the others being GDAX, itBit and Kraken) who were trusted and reliable enough to set the Chicago Mercantile Exchange’s Bitcoin Reference Rate (BRR), which is updated once a day. Although it has obviously got a nice pedigree, old and previously successful exchanges fade into obscurity every day for one reason or another. What really matters is whether it is easy, practical and affordable to set up an account and trade on the exchange today. In the following sections of our Bitstamp review, we’ll tackle precisely that question, so strap in and enjoy the ride. Alright, this first bit will be relatively short and simple. As short and as simple as it is to open an account on Bitstamp. Opening an account is obviously free, so there are no upfront expenses or account management fees. The only money you spend is the money you use for trading. So, how do you open an account? When you click the link, you will have to submit some basic information, such as your first and last name and your country of residence. You will also have to provide a valid email address and agree to the company’s terms and conditions. Before you can begin trading, though, you will have to fund your account with your currency of choice. If you want to buy cryptocurrencies with fiat currencies, you can deposit EUR or USD. Alternatively, you can deposit Bitcoin to your account. Whichever your choice, simply click on the main menu, click “deposit”, and then select your preferred deposit type. Submit a valid, government-issued ID. You can use your citizen card, driver’s license, or passport. Submit a document which proves your residence. You can use documents issued by the government, or just a bank statement or a utility bill. Lastly, verify your phone number. An OTP code will be sent to your phone, allowing you to complete the verification process and gain access to purchases/trades, as well as deposits/withdrawals, using any supported method. Not so complicated, is it? To follow up on that, in the following section of the Bitstamp review, you can check out how we rated its user interface. Since that is one of the most important factors when it comes to choosing an exchange, make sure not to skip it! Even when you just visit Bitstamp’s official website, you can already see how simple, intuitive and inviting it is. No clunky, unresponsive, sprawling pages with half-functional walls of data. Bitstamp is not trying to impress you with feats of showmanship. It is trying to impress you with its functionality and simplicity. Users are usually impressed how easy it is to use and navigate its interface. The trading process is also very simplified, and you shouldn’t have any trouble with deposits and withdrawals, either. Beginners, in particular, will appreciate Bitstamp’s user-friendly features. Even so, there are plenty other exchanges out there that are “beginner-friendly” and “easy to use”. What separates Bitstamp from the pack is the fact that these user-friendly features do not come at the cost of snubbing advanced users and doing away with additional functionality. Bitstamp made its custom API available for download, which means that veterans can develop their own software and special apps, or implement advanced features developed by a friend. Implementing automated trading at a predetermined price is one feature which is often quoted as a good example. Moving on, we’ll be dealing with the question of how to make deposits and withdrawals on the Bitstamp exchange. We’ve got many more topics to cover in our review, so keep your eyes peeled for bits that interest you the most! Apart from safety and the fees, this is the part of our Bitstamp review that matters the most. Why? Because you want to make sure that you can use your preferred payment method before you sign up, and you definitely want to make sure you can withdraw your assets if and when you profit on the exchange. Let’s start with the deposits. Through the main menu on the Bitstamp exchange, click on “deposit”, and select what kind of deposit you want to make. Since we’re covering EUR/USD deposits, you will be depositing fiat currencies. Wire transfers take two to five days to clear, while SEPA transfers are much faster, between one and three business days. However, if you are using SEPA transfers, but you want to deposit USD to your account, the transaction will take a bit longer since the additional step of converting EUR to USD also needs to be completed. When it comes to withdrawals, the waiting times are very similar. Two to three days for SEPA, and up to five days for everyone else. The exchange also offers the option of third-party withdrawals. This means that you can transfer funds from your account to a third party – whether a financial institution or an account which is not in your name and is not the account you have registered with Bitstamp. This is a very convenient feature, since, in case you want to use your assets, you don’t have to wait for them to get transferred to your own account before you can use them. Instead, you can make these payments directly from Bitstamp. However, it is not possible to make deposits from a bank account other than the one registered with Bitstamp. For example, you cannot have your brother send you a couple hundred euros that you can use for trading. Only bank accounts in your own name will do. The Bitstamp exchange also has the option of making direct cryptocurrency deposits for trading, as well as the option of withdrawing your digital assets to offline and third-party wallets for safekeeping. To learn more about that, see the next section of our review! Although depositing and withdrawing cryptocurrencies on Bitstamp is very simple, usually requiring only 2-3 steps, we will break it down into smaller sections to avoid any potential mistakes. Go to the main menu and click on “Deposit”. Click on “Bitcoin”, which should be on the left side of the menu. 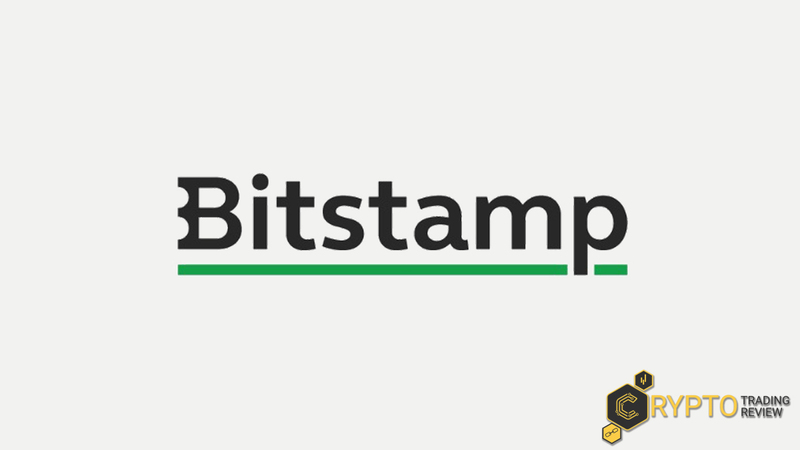 Bitstamp will display a Bitcoin address which you can use to deposit BTC to your account. The address is permanent, so you can use it all the time. Still, for security reasons, you should change the address often. You can get a new address after 24 hours. Bitstamp requires three confirmations, which can take up to 60 minutes. The only zero-confirmation system Bitstamp supports is BitGo’s Instant deposit – handy if you’re in a rush. From the main menu, click on “Withdrawal”. Choose “Bitcoin” from the side menu displayed. Enter your destination address for withdrawal. Double-check the address, since BTC transactions cannot be reversed, as you well know. Enter the amount of BTC you want to withdraw and confirm by clicking “Withdraw”. The process is pretty much the same for other cryptocurrencies. You can deposit and withdraw Litecoin by following the same steps, for example. When it comes to XRP tokens, however, you will also have to include your unique Destination Tag when you are making deposits and withdrawals. We’re about halfway through our Bitstamp review, which seems like a good point to stop for a second and provide a mini-summary. So far we’ve covered Bitstamp’s user interface, account creation and how to make a deposit/withdrawal. Bitstamp has proven itself to be excellent on all counts. Users shouldn’t have any problems getting started, and the wide range of options for making deposits should satisfy all potential customers. Be that as it may, the point of cryptocurrency exchanges is cryptocurrency trading, and that is precisely what we will be talking about next. How does the Bitstamp exchange stack up against its competitors? Keep reading to find out. What is the point of trading if you can only trade one or two pairs? In today’s cryptocurrency market, users are always putting pressure on cryptocurrency exchanges to increase the number of coins available for trading. Luckily, the exchange has got all the bases covered, since it allows its users to trade all of the most popular digital assets, as well as some rather unconventional pairs, such as the rare BTC/XRP pair. You can buy/sell all available cryptocurrencies for EUR, USD and BTC. Amazingly enough, you can even trade one fiat pair, EUR/USD. Apart from BTC, the other virtual currencies tradeable on Bitstamp are Ripple, Litecoin, Ethereum and Bitcoin Cash. With that in mind, you can trade a total of 15 pairs, including BTC/USD, BTC/EUR, EUR/USD, XRP/USD, XRP/EUR, XRP/BTC, LTC/USD, LTC/EUR, LTC/BTC, ETH/USD, ETH/EUR, ETH/BTC, BCH/USD, BCH/EUR, and BCH/BTC. That’s all fine and dandy, but how do you trade? Also, is the process complicated or simple enough to master even for those with little experience? To answer the first question, to begin trading, here’s what you do. Go to the main menu and click “Trade”. Next, you have to choose whether you want to place an “instant order” or a “limit order”. For beginners, instant orders are much simpler to master. If this is your first time trading, you can place a small instant order just to test things out. An instant order means that you sell or buy an asset, let’s say Bitcoin, at the current price set by the market. If you feel that the price is right at the moment, there’s no reason to place a limit order. Just place an instant order and it will be resolved immediately. Instant orders have the advantage of being faster, which makes them great for those traders who want to make a trade ASAP. To learn how to place a limit order and what it does, refer to the following section of our Bitstamp review, where we explain all of the advanced features of the Bitstamp exchange. Compared to instant orders, limit orders have the advantage of allowing the market maker (the one who places the order) to determine a price in advance – exactly how much they are willing to pay (or accept) for a given asset. Once you set the price and place a limit order, your order is added to the order book, and it will stay there until someone accepts it. For example, if you want to sell Bitcoin, but you feel that the price is low at the moment, you can place a limit order at a higher price than the one currently set by the market. In that case, you obviously believe that the price will rise soon. Once all of the orders with prices lower than yours get sold out, someone will accept your order, too. Simple as that. To help its users and avoid catastrophic mistakes, Bitstamp has implemented a very helpful warning feature. It is nearly impossible to mistakenly place a limit order to sell, let’s say, 2 BTC at $900 per BTC instead of $9,000 per BTC, since the system will immediately warn you when you try to place an order whose price is more than 20% above or below the current market price. If you want to go through anyway, you can, but you will have to confirm your intention to trade. Another advanced feature that many exchanges do not have is the stop order. In simple terms, you can prepare an order, called a “stop order”, which gets placed on the market as soon as the price of the asset you want to trade reaches a certain point. You can determine a set entry/exit price, and you can also use the “trailing stop” option, which lets you automatically track the price and reposition the order. Lastly, if you need to do so, cancelling an open order is very easy and hassle-free. Simply click on “Account”, look at the menu on the left side and select “Open Orders”. From there, choose the order that you wish to cancel and press “Cancel”. You can also do the same thing by clicking on the order book and finding the order marked with a green triangle. You can cancel that order with a simple click. To recap, trading on Bitstamp is very easy and remarkably safe. There are only a couple of basic steps before you go through with the trade, but the Bitstamp exchange also offers a large number of very sophisticated features that you may not find elsewhere, including limit orders, stop orders, the trailing stop option, and the warning feature. The last advanced option that you may be interested in is the option of opening “Bitstamp Sub Accounts”, narrowly specialized accounts in line with your preferences. For more info on that, don’t miss the upcoming section of our Bitstamp review! Bitstamp really does a great job of striking a balance between simplicity and ease of use and advanced functionality that may satisfy even the most demanding traders. Bitstamp’s Sub Accounts are a great testament to that. By using this feature, you can dedicate a portion of your assets to a specific trading purpose. For example, you can try out different strategies in each of your Sub Accounts. You can use bots in one account while using the vanilla interface in another. You can also create a separate Sub Account for each of the digital assets you own – one for Ripple, one for Ethereum, one for Litecoin, etc. Sub Accounts are 100% free, with no additional charges, which is amazing. If you don’t want to bother with this option – for example, if it sounds too complex, you don’t have to. It is completely optional. If you choose to create Sub Accounts, your first account will be referred to as your “Main Account”. To create a new Sub Account, go to your account dashboard. Once there, click on “Sub Accounts” and select “New Sub Account”. Your new Sub Account will be given a unique identifier automatically, but you can also choose your own custom name. Once the Sub Account is created, however, you can no longer make changes and rename it. You can have as many as 30 different Sub Accounts, but only 10 of those can be active. The accounts you deactivate are “closed”, and they cannot be reactivated again. Luckily, you have 20 extra accounts, so there is some room for error. You can also contact Bitstamp’s customer support to increase that limit if you would like to have more than 10 active and 20 closed Sub Accounts for whatever reason. To transfer funds from your Main Account to any of the active Sub Accounts, go to your account dashboard, click on “Sub Accounts” and proceed to “Active Sub Accounts”. Select transfer from the available options. Through the “Active Sub Accounts” tab, you can also close one or more of the accounts if you wish. To do that, simply click on “Close This Sub Account” and confirm. If you have Sub Accounts, it is up to you to make sure that you are trading with the correct account. Your Main Account is selected by default, and unless you specify which account you are using, you will automatically place orders with the Main Account. To select a different account, click on the drop-down menu in the top banner, directly next to your balance display. Another important thing to keep in mind is that each API key (if you use those) is bound to a specific account (whether a Sub Account or your Main Account). The best thing is, using Sub Accounts does not incur any additional fees apart from the standard Bitstamp fees. And that is precisely what we will be talking about in the upcoming part of our Bitstamp review, so make sure to pay close attention. And here we come to the ever-interesting question of how much it costs to trade on Bitstamp compared to other exchanges. When trading, both the sellers and the buyers (the “makers” and the “takers” in exchange terms) pay fees. The exchange’s fee schedule is pretty standard, with lower fees for traders who trade more over a 30-day period. To see the fee that was charged for the most recent trade, you can visit your account’s history. The fee that was charged appears next to each completed trade. The good thing is, Bitstamp uses a so-called “unified fee schedule”, which means that all trading pairs are cumulatively calculated towards your 30-day trading volume. This is an upgrade compared to most exchanges, which usually only count the pairs which include fiat currencies. For traders who are only starting out and for traders who trade less than $20,000 total over a 30-day period, the Bitstamp fees for trading equal 0.25%. When you cross the next step ($100,000), you unlock the 0.24% fee, then the 0.22% fee at $200,000, and so on. The lowest possible fee equals 0.10% for traders whose trading volume exceeds $20,000,000. Since it is possible to trade cryptocurrencies only, when calculating the fees, all trading volumes are converted to USD, using the exchange rate at the time of the trade. This is necessary since all trading volumes add up. One little-known fact is that there were no Bitstamp fees for trading at first, but the exchange decided to introduce them after a few years to be more in line with emerging industry standards. Even so, the fees are still relatively low and, considering the fact that all trading pairs count towards your 30-day volume, you should be able to get a lower fee easily. We have dedicated a separate section of our review to the various Bitstamp fees for making deposits and withdrawals. You don’t want to miss this part if you want to see how Bitstamp compares to other exchanges! If you are a user from the European Union, this is the part where Bitstamp really shines! All customers who can use SEPA transfers have a huge advantage when they trade here, since making deposits that way is completely free of charge. SEPA withdrawals are also very cheap at just 0.90 EUR. Credit card purchases, on the other hand, are considerably more expensive, with a 5% fee charged by Bitstamp on top of any additional fees that the card issuer may charge. International wire transfers are kind of the middle ground between the two in terms of affordability. For deposits, Bitstamp charges a 0.05% fee, which is actually surprisingly cheap. The minimum fee is 7.5 USD/EUR (depending on which currency you are transferring), while the maximum fee equals $300. For withdrawals, the fee is higher at 0.09%, no less than 15 USD/EUR. All of these fees are on Bitstamp’s side, which means that banks may easily charge additional fees on top. When it comes to cryptocurrencies, all deposits and withdrawals are 100% free of charge. Overall, an above-average fee schedule, which nevertheless favors European customers and customers who trade cryptocurrencies exclusively. So far, we haven’t had a chance to talk about Bitstamp’s debit card program. It is an amazing additional feature with some basic fees of its own. More on that in the following section of our Bitstamp review. Late in May 2015, Bitstamp introduced its prepaid debits card program, which allows the users of the Bitstamp exchange to order USD, EUR or GBP denominated prepaid debit cards, which can be either plastic or virtual. It costs only $10 to get the card, and you can get it immediately, as soon as your order is confirmed. The virtual debit card is perfect for making purchases online. If you want a plastic card, as well, you will have to wait 10-15 business days. For transferring funds from your Bitstamp account to your debit card, you have to pay a flat $10 fee, if the amount withdrawn is smaller than $1000. For amounts over $1000, Bitstamp charges a 2% fee instead. $0.35 for making purchases with the card. $3.45 for Purchases with Cashback. $3.45 for making cash withdrawals. $1.95 per month maintenance fee. $15 for a replacement card. With that, we’ve all but answered all of the important questions regarding Bitstamp and its various features. Only two more questions remain: Is Bitstamp safe and what about the Bitstamp app? The app is precisely what we will be reviewing next, so stay with us! While Bitstamp has released an official app for both iOS and Android, unfortunately, it is not very well received. It seems that many of Bitstamp’s most faithful users had gotten used to advanced features and functionality, and were in turn disappointed after the app didn’t quite live up to the same standards and high expectations. All in all, it doesn’t sound too bad, as far as cryptocurrency exchange apps go. So what were the users complaining about? One user said that the app was good for trading on the go, but not much else. The app is not an adequate replacement for the desktop version, and you definitely need the full Bitstamp exchange if you’re serious about trading. Apparently, there was also a bug with the way charts display market data. Often the charts would simply not update in time. Another user reported several minor annoyances, including the fact that the app “doesn’t save your last currency pair when reopening”. A few other users also complained about the charts lagging behind somewhat. There were many positive reviews, however, with one user saying that the Bitstamp app should work great for anyone who primarily trades Bitcoin. Nevertheless, Bitstamp’s customer service agents have replied to each comment and user-submitted review individually. The company has already fixed some of the issues these customers reported, with a more extensive update in the works. Finally, let us answer the big question: “Is Bitstamp safe?”. Reviewing Bitstamp’s security practices is the last step before reaching the final verdict and the conclusion to our review. If you care about safety, stay with us! Let’s be honest here. Every cryptocurrency exchange swears that it adheres to the very strictest security practices and that its accounts are impenetrable. It cannot possibly be true for all of them, right? At the moment, though, we are only concerned with Bitstamp. Is Bitstamp safe? Bitstamp is compliant with all relevant AML and KYC regulatory practices. The company submits its internal processes to yearly internal audits by one of the Big Four (accounting firms with the largest professional networks – Ernst & Young, Deloitte & Touche, KPMG, and PricewaterhouseCoopers). This ensures financial soundness. Regular IT security checks, including complex data protection processes. Bitstamp uses PGP (Pretty Good Privacy) data encryption to protect all files exchanged between the company and its users. For a cryptocurrency exchange that has been around since 2011, Bitstamp has experienced a relatively low number of service disruptions. The most interesting one happened in 2014, when the exchange was targeted by a DDOS attack. The attackers were trying to force CEO Kodrič to send them 75 BTC as ransom, but he refused, saying that negotiating with terrorists is against the company’s policy. In a time before mandatory regulation and government oversight, Bitstamp was among the first exchanges to implement and promote revolutionary security practices which have since become the industry standard, including MultiSig technology for the company’s hot-wallets, as well as the fully insured cold storage, where more than 98% of users’ assets are kept offline in protected vaults. Today, Bitstamp is among the most established and the most reputable cryptocurrency exchanges in the world. Its customers can rest easy knowing that, no matter how much they trade, the company is there to protect them and their assets. After coming all this way, don’t miss the few remaining sentences and the conclusion of our review. Do we feel confident enough to recommend Bitstamp? Find out below! To conclude, we were definitely impressed by Bitstamp’s professional approach and its stellar reputation. The company is an established mainstay in the scene, there is no doubt about it. Since it allows its users to purchase cryptocurrencies for fiat currencies, Bitstamp also acts as a gateway into the cryptocurrency market – allowing its customers to experience cryptocurrency trading for the first time. Customer support is superb compared to many exchanges. Important! Bitstamp is a licensed exchange – very transparent. Low fees, also very honest about the fees. Has key connections in the industry. If you want to deposit funds to your account by using a credit card, it can be very expensive. Still, this is not exclusive to Bitstamp. Other exchanges face the same problem. Not as many coins as some other exchanges. The Bitstamp app needs a bit of tweaking. In spite of these cons, Bitstamp is one of the most popular cryptocurrency exchanges in the world, belonging to the first generation of exchanges in the world of cryptocurrencies. We can wholeheartedly recommend the Bitstamp exchange to anyone who is looking for a safe, reliable, and licensed exchange, run by a principled, passionate team of developers and managers who put their customers first.